Landlords and developers face unlimited fines because of a lack of awareness of the regulations covering heat networks. There’s no denying that the regulations create an administrative headache for agents, and an unwelcome cost burden for landlords, but managing the process well could help reduce energy bills and develop more efficient buildings. Nevertheless, it’s clear across the sector that many individuals and organisations have missed the deadline for notification and are perplexed by the requirements for metering, not helped by shifting deadlines creating a moving target. Managing agents must ensure their clients comply by reporting information about properties where residents are supplied with heating, cooling or hot water. They may also be required to install meters at occupier level, an obligation that’s set to roll out more widely in 2017, spreading the net of those who can be caught out. It’s complex but cannot be ignored. Non-compliance with any of the requirements to notify, meter and bill is a criminal offence that can lead to civil and criminal sanctions, including unlimited fines, not to mention damage to reputation. prepare to install meters where necessary. Driven by an EU target to cut greenhouse gas emissions from their 1990 levels by a fifth by 2020 and to raise standards in heat networks, it is hoped giving end users data should encourage them to reduce energy consumption. Under the Heat Network (Metering and Billing) Regulations 2014, a heat supplier is any person or company who supplies and charges for heating, cooling or hot water, through either communal heating or a district heat network. Even a building owner or manager with a small sub-let is classed as a supplier if the tenant is charged for heating, cooling or hot water, whether it’s billed separately or included in the rent. What’s the requirement for notification? If you are a supplier of heat, cooling or hot water, you were required to notify the National Measurement and Regulation Office (NMRO) by the end of 2015. So if you haven’t already complied, it’s something that must be done urgently. It means completing either a single or multiple notification template, depending on how many properties you own or manage. That in turn means having accurate records of your heating scheme(s), including meters and consumption data. If bills are not based on accurate metering information, this is a criminal offence, which may result in conviction and potentially includes an unlimited fine, so it’s an opportunity to assess the equipment and systems you have in place. Required information includes the estimated total, per calendar year, of the installed heating capacity, heat generated and heat supplied; the number and type of buildings supplied by that system; the number of final customers supplied by that system; and the number and type of meters or heat cost allocators installed in the buildings supplied. NMRO can impose civil sanctions for non-compliance with the notification requirements, including compliance notices or enforcement undertakings and financial penalties. It’s been reported that around 17,000 networks have gone through the process, but many more are at risk of penalties because they have yet to do so. Even for those that have complied, an updated notification must be submitted every four years. Where must meters be installed? In multi-occupancy buildings or developments with more than one building: Meters should already be in place at building level to measure heat, chill or hot water supplied from a district heating network or communal system. For new buildings or where major renovation has been carried out: Meters must also be installed at the individual occupier level e.g. apartment. Where meters are installed, the heat supplier must ensure that final customer bills and billing information for heating, cooling and hot water is accurate, based on actual consumption, and compliant with the rules. For existing buildings: The deadline for retrofitting meters at individual occupier level has been put back from December 2016 to late 2017 at the earliest. The cause of the delay is that the NMRO’s “heat metering viability tool” has been found wanting. This was the means by which landlords, agents and consultants were meant to identify where meters would be needed. Frustratingly, its withdrawal means notifications already done (and viability checked using the old software tool) will have to be re-checked with the new tool when it arrives. Pending revision of the tool, the requirement to retrofit heat meters will not be enforced by the NMRO. It is expected that a public consultation will be held in summer 2017 with a view to releasing the revised tool late 2017, and a new deadline will then be released for retrofitting heat meters. Owners, managers and agents of existing buildings could consider complying ahead of deadline by retrofitting meters at occupier level now. This will give you and your professional advisers more time to manage the process and to make arrangements to bill tenants individually, which will be a requirement and is another area where professional advice will be invaluable. 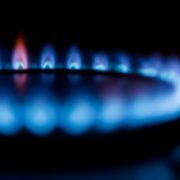 MPG provides help and consultancy advice on responding to the heating regulations and completing the notification process. We can also help you to identify how meter installation and data management could help you to improve building energy efficiency and reduce costs. Clients whom we have advised on notification and boiler/MEP issues include Sloan Management, Regal Homes, Principia, Fifth Street Management, Westward Rose, HML Hathaways, Countrywide, Rendall & Ritner, Remus Management, JMW Barnard and Canary Wharf Group.